An image of the Korean Peninsula taken from the International Space Station on January 30, 2014, at 10:16pm local time. 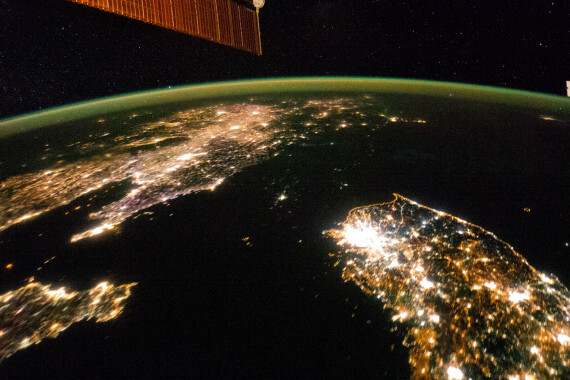 On January 30, 2014, an astronaut on the International Space Station used a Nikon D3S camera to capture a new image of the Korean peninsula at 10:16 pm — one that’s even more dramatic than the monochrome NASA satellite image of old. The disparity between the two countries becomes immediately obvious. 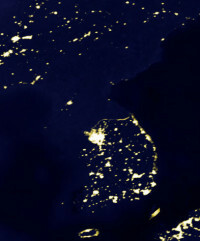 South Korea appears a modern, thriving economy and lines of electricity along major roads looking like arteries criss-crossing the country. 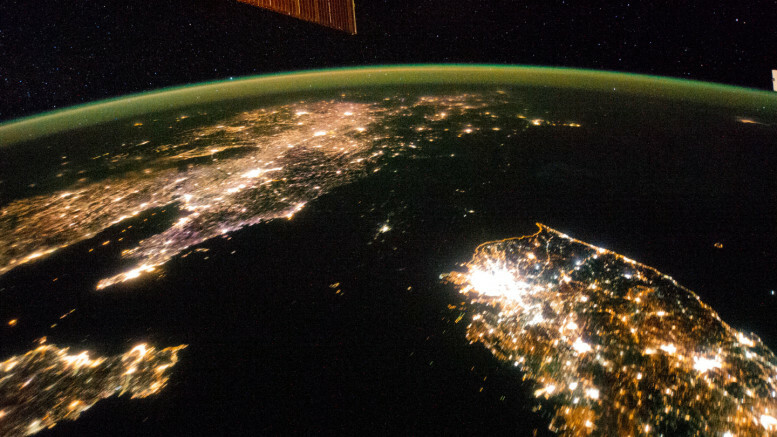 North Korea has a few spots of light, but not much else.